If you have access to Resource Manager, the best way is to completely remove the embedded applications from the device. If you do not have access to Resource Manager (perhaps the SQL database is down), then skip the section below to the next section Disabling Authentication via the Web Interface. After the process is complete, highlight both applications in the list and click Delete Application. If you would like to stop PD from tracking the print queues for that device, simply delete the Shared Device from the list. 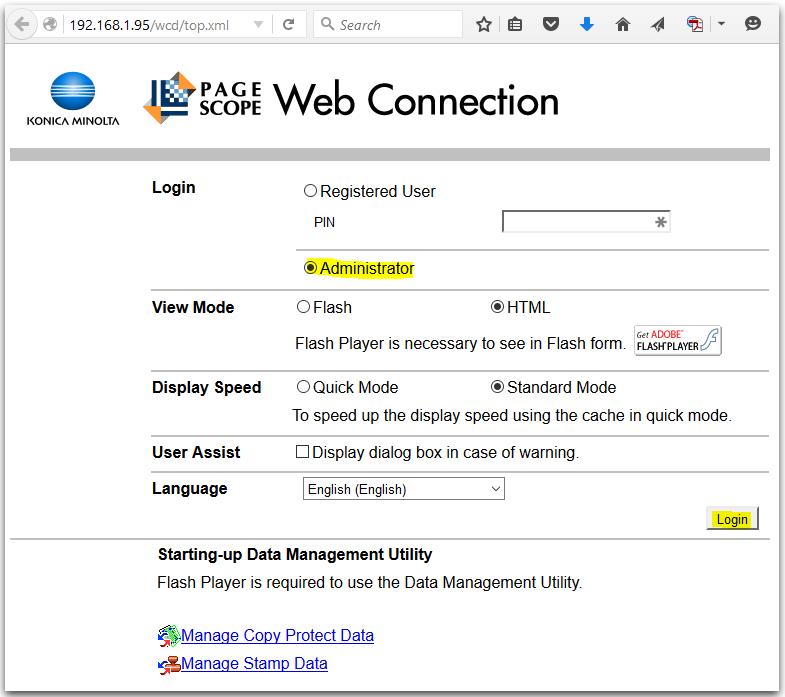 If you don’t have access to Resource Manager, or perhaps because the Delete Application process failed, you can disable authentication via the web Interface of the MFP. Log in as Administrator (default password is 1234567812345678). 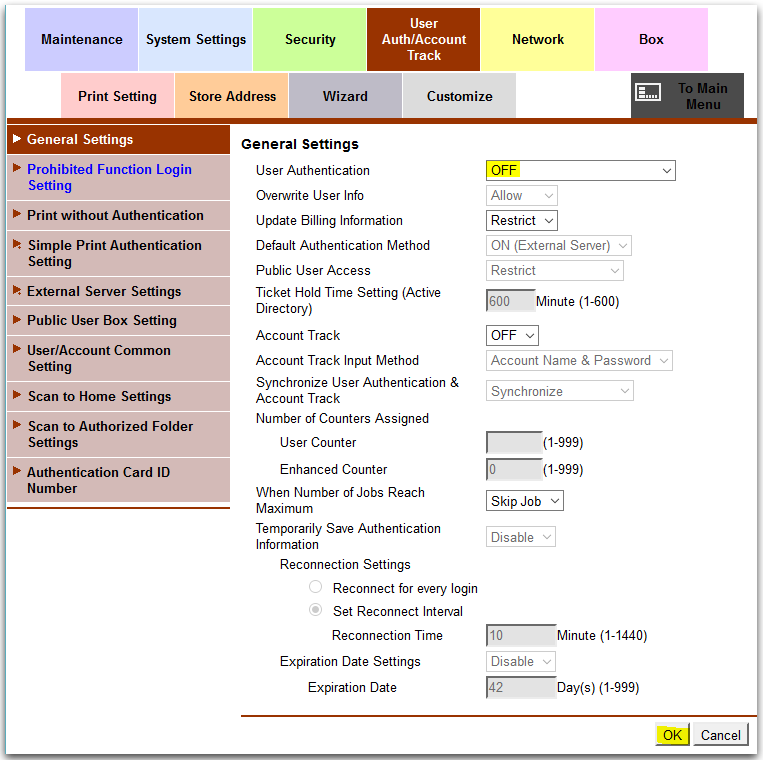 Click the User Auth/Account Track menu. 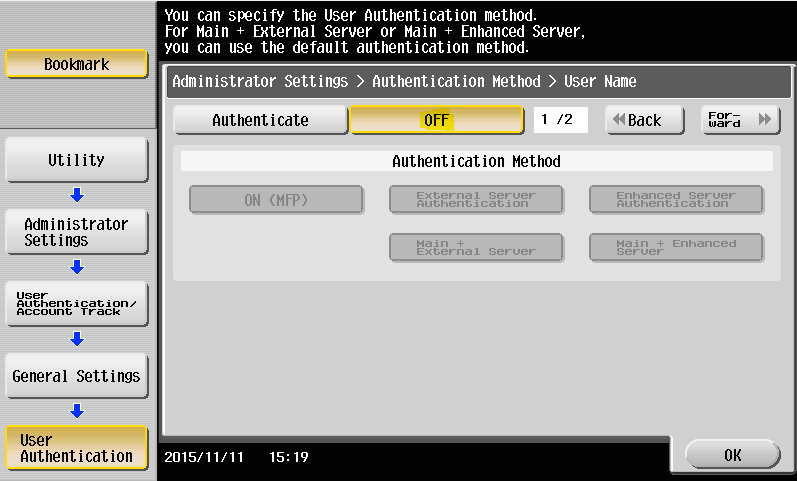 Under General Settings, change the User Authentication drop down to OFF and click OK.
Now log out of the printer. If you don’t have access to Resource Manager or the web interface of the printer, you can disable authentication via the printer panel. Press Menu (hard key) then Utility. Enter the password (default is 1234567812345678).